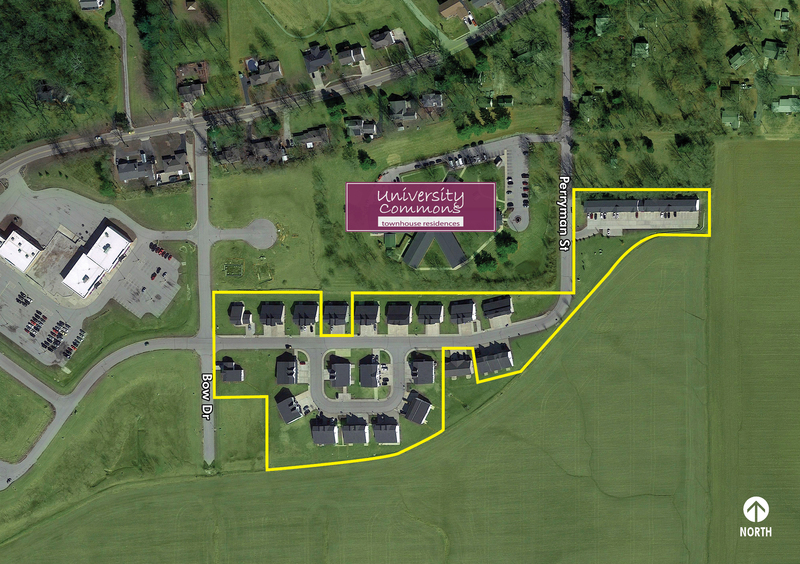 Berkadia is pleased to present the exclusive opportunity to purchase University Commons, a lender REO property. University Commons is located in Lebanon, Illinois, which is 25 miles east of Downtown St. Louis. Built in 2008, the property features 55 townhome-style apartment homes with an average size of 1,539 square feet. The lender recently spent a significant amount of capital expenditures on roof replacement, drainage, regrading and exterior painting. University Commons is 100% occupied excluding two down units. The property is a 15 minute walk to McKendree University, a private liberal arts university and the oldest college in the state of Illinois with enrollment of approximately 3,000 students. McKendree University leases approximately 30% (16 units) of the units to students which is guaranteed rent to the Owner. Scott Air Force Base and Mid-America Airport are located 10 minutes away from University Commons. Scott Air Force Base employs over 14,000 people and is the fourth largest employer in the St. Louis metro area. It generates an economic impact of $3 Billion annually. Please do not disturb tenants or management. All tours must be scheduled through the Seller's representatives, Andrea Kendrick and Ken Aston. University Commons is a 55-unit, garden-style apartment community located in Lebanon, Illinois, approximately 25 miles east of downtown St. Louis, Missouri. † Built in 2008, the property consists of wood-frame constructed buildings featuring brick and wood-sided exteriors and pitched roofs with composition shingles. Situated on 1.5 acres of land with 79,852 square feet of rentable space, University Commons contains a unit mix comprised of 16 two-bedroom units spanning 1,072 square feet each, 17 three-bedroom units measuring between 1,108 and 1,500 square feet, and 22 four-bedroom units ranging from 1,735 to 2,230 square feet, with an average unit size of 1,452 square feet. The pet friendly property is beautifully landscaped with well-maintained grass areas, mature trees, and trimmed shrubs and bushes.